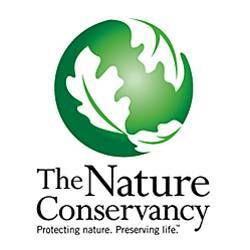 The Nature Conservancy is a global conservation organization dedicated to conserving the lands and waters on which all life depends. Guided by science, we create innovative, on-the-ground solutions to our world's toughest challenges so that nature and people can thrive together. One of our core values is our commitment to diversity. Therefore, we are committed to a globally diverse and culturally competent workforce. Working in 72 countries, we use a collaborative approach that engages local communities, governments, the private sector, and other partners. To learn more, visit www.nature.org or follow @nature_press on Twitter. The Operations Administrator will work as part of a team within a Business Unit coordinating tasks related to one or more functional activities, such as operations support, procurement, meetings management, special events, training, volunteer programs, etc.This Position is based in Arusha, Tanzania. The Operations Administrator will work towards meeting the strategic priorities of the program by implementing tactics for approved plans, and completing day-to-day tasks and activities. S/he may be responsible for planning and execution of logistics for special events and/or meetings, purchasing, central filing, mailroom operations, facility management, telecommunications, and/or reception. S/he may assist with the recruitment, training, and recognition of program volunteers, and may direct the activities of volunteers. In addition, the Operations Administrator may perform Information Systems, Human Resources, and Finance administrative tasks, including processing forms, preparing reports and forecasts, and monitoring and preparing budgets. S/he will respond to inquiries about program activities, create program materials, and draft correspondence. S/he is well versed in the systems and resources utilized by the team in order to execute assigned tasks. S/he will maintain, track and research data, produce and review reports, and perform program analysis. The Operations Administrator provides guidance in satisfying administrative requirements based on extensive knowledge of policies and procedures. S/he will provide support and targeted training related to the functional area of the team. S/he will implement processes and practices in order to improve effectiveness. The Operations Administrator will communicate with staff in various programs across the Conservancy; as well as with donors, volunteers, vendors, and business relations. S/he will effectively communicate or distribute information to assist staff in making decisions, solving problems, and improving workflow. Coordinate projects with several variables, work within a defined timeline and budget. Financial responsibility includes purchasing, processing invoices, contracting with vendors, and assisting with budget preparation. May act as a resource to others to solve problems and act in supervisor's stead when instructed. May supervise administrative and/or volunteer staff, responsibility includes training and professional development. Provide input through project teams for the improvement of existing programs. Refer difficult questions and unusual problems to supervisor. Work within scope of program's strategic goals. Bachelor's degree and 2 years experience or equivalent combination. Ability to analyze information for the purpose of coordinating and planning activities, and solving problems. Excellent 'customer service' skills and focus. Experience interpreting guidelines to achieve desired results. Knowledge of current trends in specific field.